Handmade fueled by Norwegian Tradition and Lore. I work with what inspires me and most things do. 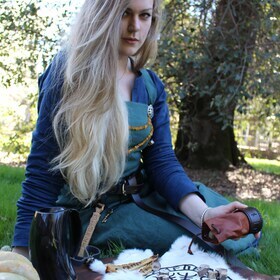 Items with Norse spirit. Seeker of tradition and skill. Knitting Leatherwork Pelts Sewing. The creative sprit has no limit. I grew up in a very creative household and as I grew older and started top see the world from a different perspective I saw the true beauty that tradition holds. Ive done and still do my best to actively pursue crafts to learn as much as possible and my items range from the very traditional to the more modern items using old ways of creating them. All of my stitching is done by hand, the prints are always handpainted or done using traditional norwegian made printingblocks or a combination of the two. All of my sheepskin comes from sheep born and raised in the norwegian mountains and then tanned at Norways oldest tannery, the lamb or deerskin lining I use equally so. the linnen thread and beeswax I coat it with is also Norwgian made items. this is an important aspect of my craft, resulting in high quality and authenticity. All of the colors are completely natural and unique to each individual sheep, I always try to keep a nice variety of colors but some times it takes time for the supplies to reach me. If youre looking for something specific please message me and I will do my very best to aquire the right material for your needs. NorneWoven is ,and I assume always be, an eclectic mix of the crafts and magical items I find inspiring and that I hope you will see the beauty in as well. 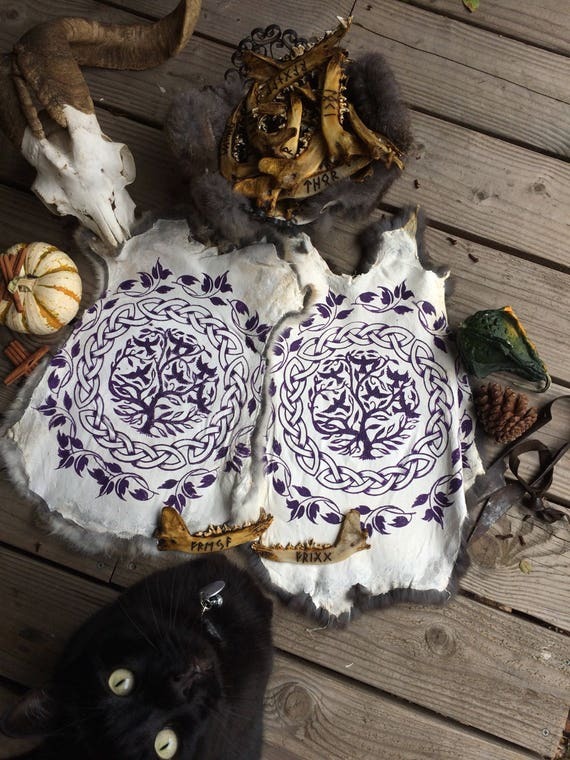 But it will always be centered around my passion for pelt work and honoring the gods and the old ways.